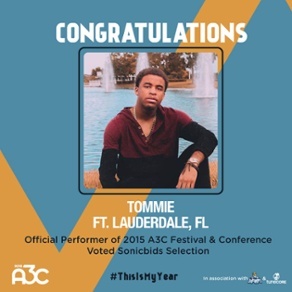 The winners of the This Is My Year fan-challenge will join the 2015 A3C Festival & Conference lineup with dope MCs like Rakim, Jean Grae, Pharaohe Monch, Cyhi the Prynce and hundreds more! Voting for “This Is My Year” week 14 has ended. With your help, we have picked over a couple dozen artists to perform this October in Atlanta, GA… and we are still going! Stay tuned for the next 6 contenders to be announced tomorrow afternoon! Week 14’s winners are… 60 East of Ontario, California and Tommie of Ft. Lauderdale, FL! 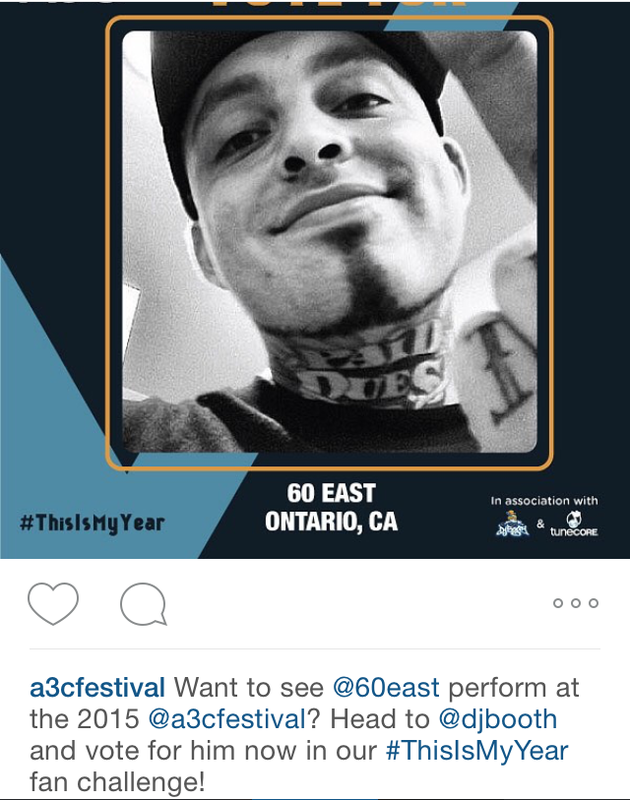 Want to see @60EastFD perform at @A3C this year? VOTE NOW! 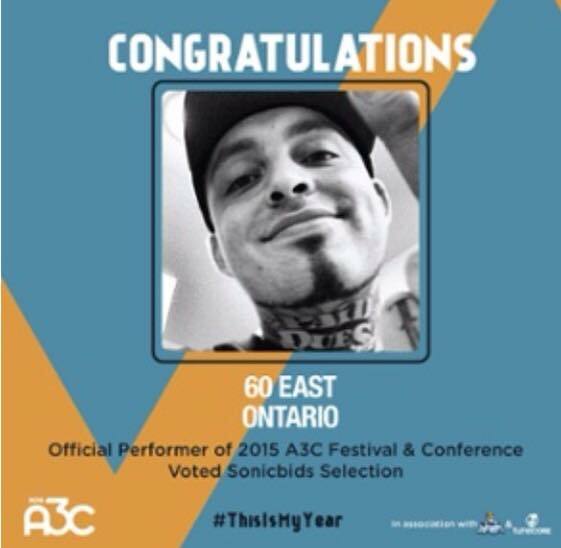 60 East has been selected as 1 of the this weeks finalists in this years SonicBids/A3C/DJ Booth Contest. Make sure to vote once a day, every vote counts! The Life Is Beautiful Festival is September 25-27 2015 in Downtown Las Vegas. 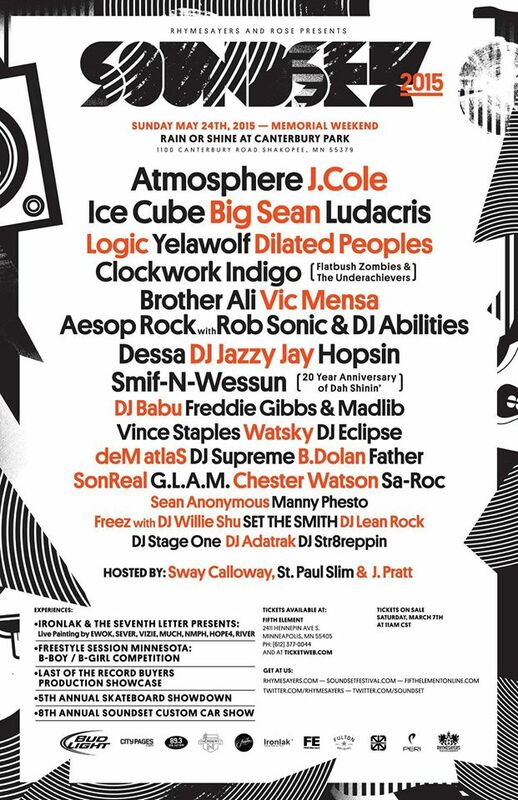 If your in the Mid-West this is the event to be at if you love Hip-Hop! We will be in attendance! 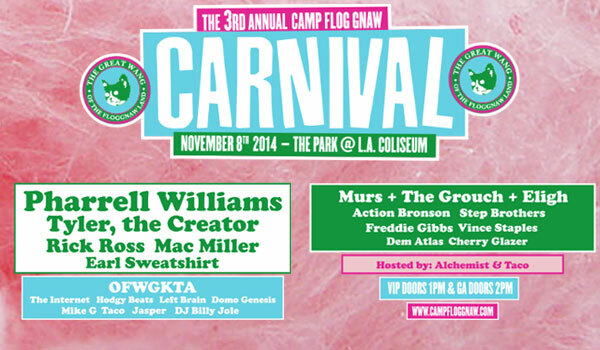 Holla if see us! Recap of the 4th Annual DIY Fest held at the Pomona Glass House presented by Brick To Ya Face.